Ahead of Next Generation Workplaces 2017 we chat to Jeremy Neuner, Head of Real Estate and Workplace Services at Google, who, for the sixth year running, has landed the top spot on Fortune Magazines list of the Best Companies to Work For. The $75 billion tech titan, famous for luxe perks like free gourmet food, haircuts and free shuttle services that make staff commutes easier and more productive, is ahead of the game when it comes to optimising staff engagement, creativity, innovation and wellbeing. 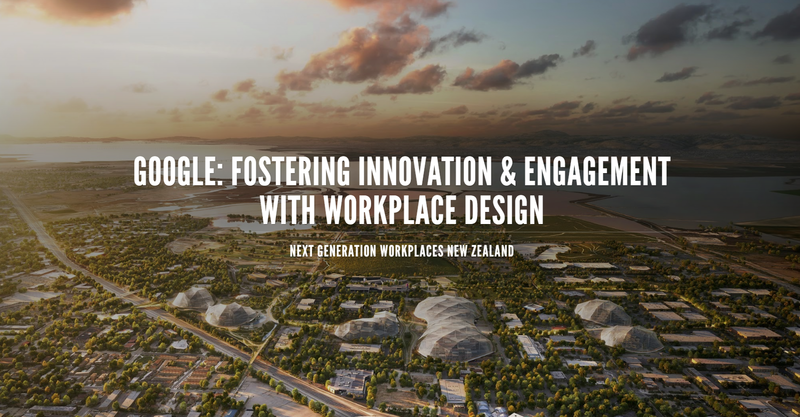 In this article Jeremy shares with us how Google’s Googleplex Headquarters in Mountain View, California is fostering innovation and optimising staff engagement through a balance of people, space and technology.